The 12" comes in an all black LP jacket with spot UV gloss varnish and a posted-on art card. "Dead" is limited to 1000 copies worldwide. Title track "Dead" was recorded at Oneida's Ocropolis studio in Brooklyn and features Kid Millions on drums. 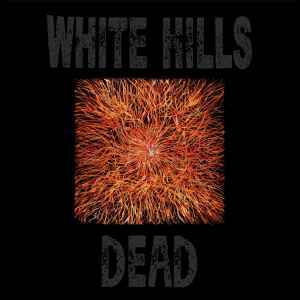 It's slated to appear on White Hills' forthcoming LP that is set for release in early 2010. "Oceans of Sound" was originally from the "Heads On Fire" LP and has been remixed by Antrønhy ØH who currently plays drums in Julian Cope's Black Sheep Band. "Another Coming" and "Red Sun" are exclusive to the EP and were recorded and mixed at 60B in New York.